Well there’s a reality check! Imagination is a wonderful thing when it’s used for setting goals, aspiring to become or to be, or for dreaming; but an imagination that focuses on negativity does not do us any favours. Do you dwell on things? Mull them over in your mind, come up with possible scenarios, think about how you’d react, what you’d say, even speak aloud as if you are talking to the person causing angst? If yes, then that appears to be where the issue of your suffering is formed. In reality, how often do those possible scenarios occur? Do we ever have the opportunity to make the witty comeback that was so many times rehearsed? No, generally none of our carefully thought out productions occur, no practised speeches are spoken, no reactions to them observed, no satisfaction gained. Because what eventuates is not in our control when it involves another. We control only ourselves, our reactions, our words, even our presence, and of course our thoughts. Think back to a situation that was causing you worry and concern. How did you feel in the midst of the mental turmoil? Anxious? Poor appetite? Difficulty sleeping? Nausea? Palpitations? Butterflies in the stomach? Unable to relax or sit still? All of this worry places us in a ‘fight, flight or freeze’ place. Adrenaline is released to help you manage the situation and you experience all of it’s affects on your whole body, particularly the heart and blood vessels. Definitely a recipe for poor health. 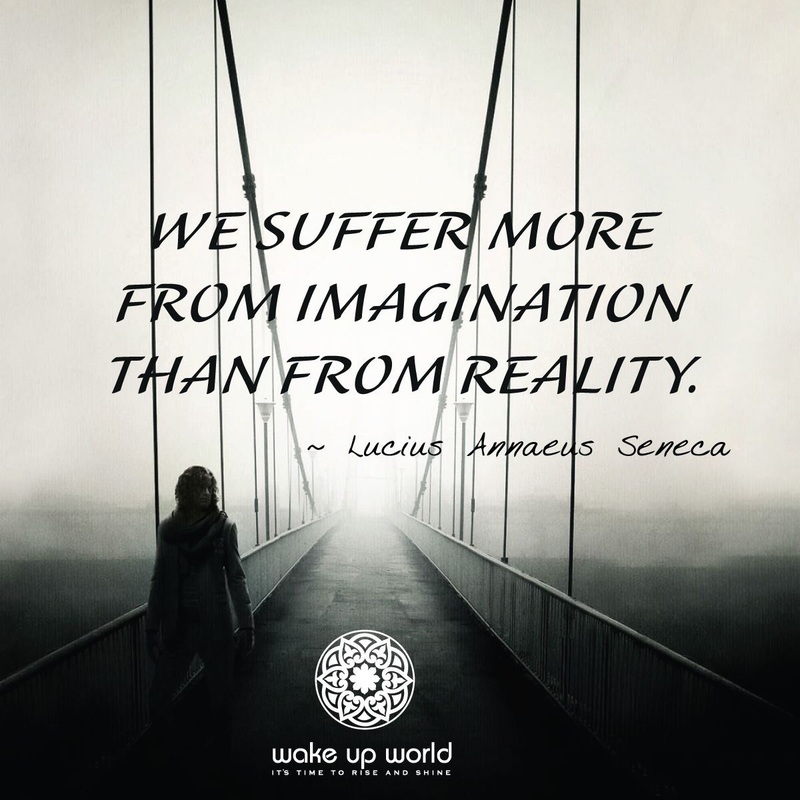 Managing our ‘imagination’ with positive thoughts and thereby not allowing our systems to become over loaded, will enable us to stay in a reality that has us remaining well.